As a self-proclaimed nut butter aficionado, I’ve tried every nut (and seed) butter out there. 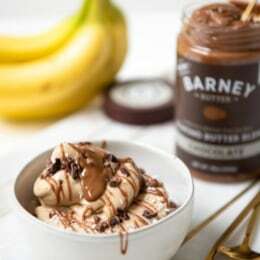 But I’m happy to report that after all these years of searching for the creamiest, dreamiest spread, I’ve settled on one: Barney Butter. My husband and two little boys love it, too. The thought of running out is terrifying. Once we went without, and my 3-year-old was unhappy for days. So, along with diapers, wipes and dishwasher tabs, we also have two different jars of Barney Butter on our Subscribe & Save list on Amazon to ensure that we get a once-monthly shipment of the stuff and are always stocked up: the bare smooth version and the chocolate blend Barney Butter. "Smooth, just as is advertised, I love it! Gone through my first jar in a matter of days," said one reviewer. I wanted to make sure that my habit was healthy, so I connected with registered dietitian Laura Ligos, founder of The Sassy Dietitian in Albany, New York. For the record, she said she’s a fan of Barney Butter. "Almond butter makes a great addition to a snack," Ligos said. "It contains a combination of healthy monounsaturated fats as well as fiber that is satiating." When peanut butter and almond butter go head-to head, almond butter does have more of these healthy fats and fiber, she added. Almond butter is also a rich source of vitamin E. One serving supplies nearly half of the antioxidant vitamin you need in a day. 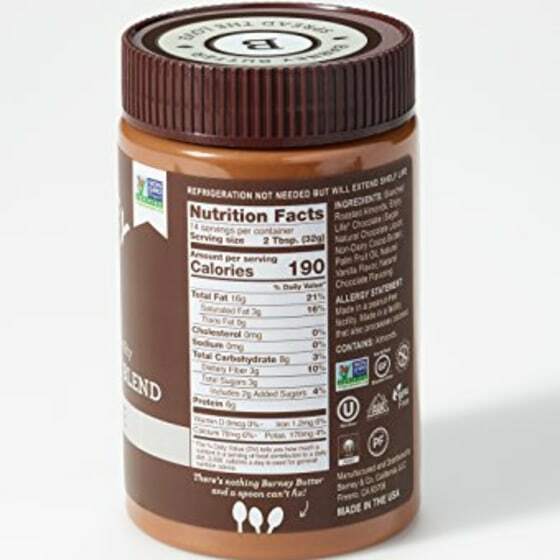 When you’re searching for any nut butter, Ligos noted that the first thing you want to do is flip it over to read the ingredients label. Ideally, yours doesn’t contain any added sugar. 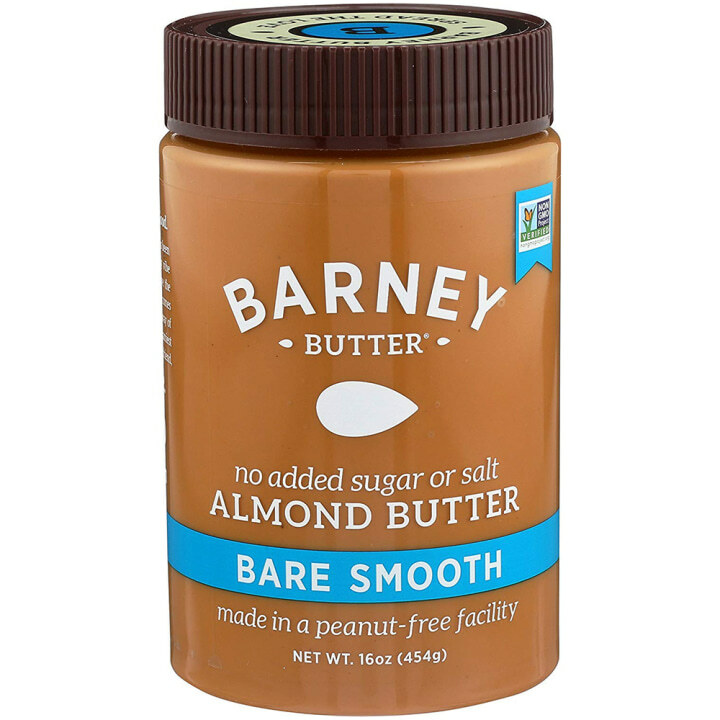 That's why I’m into the Bare Smooth Barney Butter. 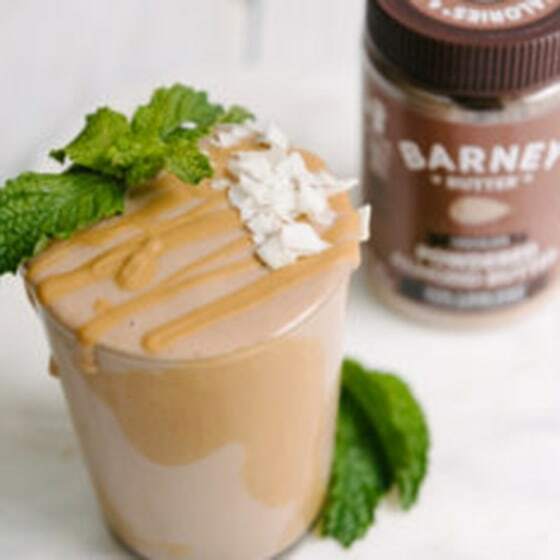 It has no added sugar, but while other natural almond butters can taste overly roast-y and have a gritty texture, this one has a sweet flavor and is silky and spreadable. It’s good enough to eat a spoonful of by itself (my 3-year-old’s choice), use as a dip for carrots (mine — try it), spread thick on toast (my husband) or put on mini waffles (my 1-year-old’s fave). The butters also require no stirring after you open the jar the first time. That’s big. No one likes to stir nut butter and have the oil on top splash and drip down the sides. Let’s also talk about the Chocolate flavor. This is the one you want a small spoonful of when you’re having a chocolate craving. Listen, it has added sugar, but the company wins for transparency here. 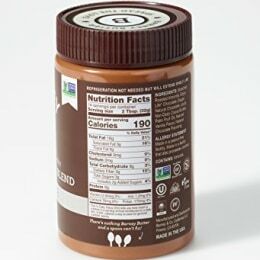 On the nutrition label, they list exactly how much added sugar each serving contains. This flavor has two grams of added sugar per two tablespoons, which is a half teaspoon. Honestly, not bad. (The American Heart Association recommends women consume no more than six teaspoons of sugar per day. For men, it’s nine teaspoons.) It can easily fit into a healthy diet, and, with three grams of fiber, it’s a good source of the digestion-friendly nutrient, too. If you’re worried about portion control or need your fix on-the-go, Ligos suggested buying individual, pre-portioned packets, which a variety of brands offer. Barney Butter offers these too: $11 for a pack of 9 in three flavors — bare smooth, chocolate, and crunchy — on Amazon. Enjoy. 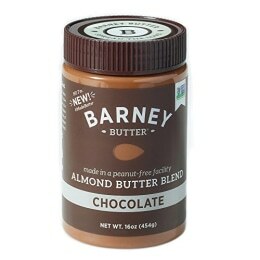 We've also tried and loved the crunchy Barney Butter. And, while we haven't tried all of them, the nut butter is also available in a powdered version, chia and a cocoa and coconut flavor.